Unheard Prince songs are to be released on two new posthumous albums. The 57-year-old singer was found dead at his Paisley Park estate in April and now music from his legendary vault are to feature on two new records, 'Prince 4Ever' and a remastered version of 'Purple Rain'. The first new recordings since his passing on April 21, from an accidental overdose of the drug fentanyl, will go on sale through NPG Records and Warner Bros. Records. 'Prince 4Ever' will be available to buy on November 22 in the US and November 25 around the world, and includes 'Moonbeam Levels' - a previously unreleased song originally recorded in 1982 during the 1999 sessions and later considered for the never released 'Rave Unto The Joy Fantastic' album. It will also come with a 12-page booklet of never-before-seen photos by acclaimed photographer Herb Ritts. The deluxe version of 'Purple Rain', was agreed with the 'Kiss' hitmaker before he died, and includes a second album of previously unreleased material, with more details to be revealed closer to the release date, which is sometime next year. 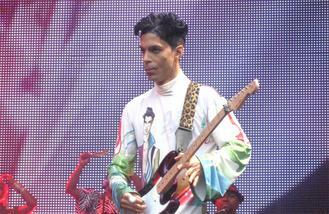 It comes after it was revealed that Prince entered the list of top-earning dead celebrities. Sales of Prince albums soared in the immediate aftermath of his death in April and he is listed at number five in the chart by Forbes magazine, with estimated earnings of $25m for 2016. Take That are to release new album 'Wonderland' next year. Jimmy Carr has written a song for Kylie Minogue and Robbie Williams ahead of their reunion. Sony has confirmed Kesha is working on a new album. Taylor Swift has used the remainder of her $1 million (£820,000) pledge to help four charities in flood-hit Louisiana. New music from Kesha will be released "soon". Katy Perry and Pharrell Williams have been handed the honour of serving as celebrity co-chairs of the 2017 Met Gala. A Colorado judge has approved Taylor Swift's request to seal a key photo in her groping lawsuit until trial. Sir Paul McCartney once offered to write and produce songs for the Four Tops.